Custom trips and all-inclusive packages on Southern Montana’s blue ribbon rivers and secret creeks. Our guides are professional, patient and the best around. Outfitter #17209. 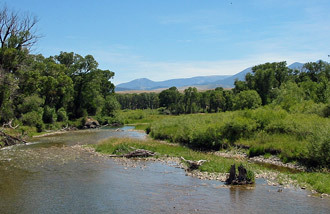 The rivers in Southern Montana are perhaps the most famous among Montana Rivers. Names such as the Madison River, the Bighorn River and the Yellowstone River are internationally known as premiere trout fishing waters. 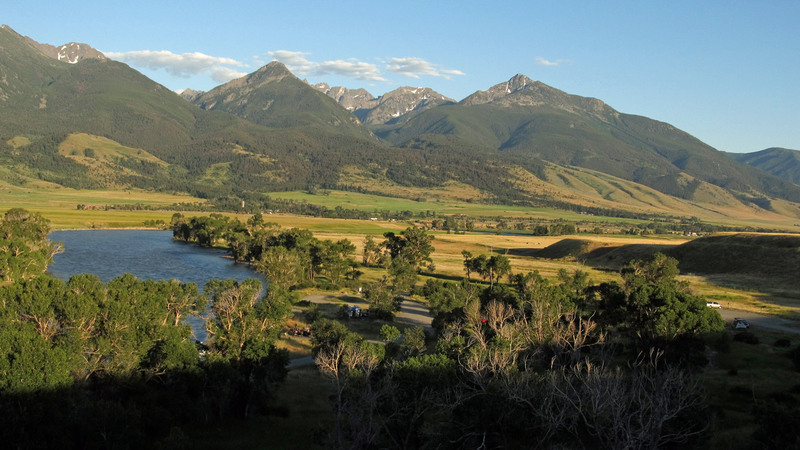 Not surprisingly, people from all around the world venture to this part of the state on a Montana fly fishing trip. The rivers in Southern Montana are quite diverse. 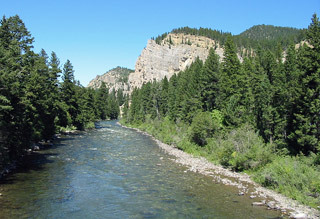 Rivers such as the Yellowstone and the Madison flow predominantly through big, beautiful valleys, flanked by the towering Rocky Mountains. 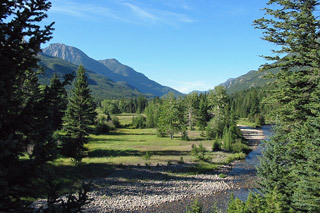 Other rivers, such as the Boulder River and the Stillwater River, flow primarily through scenic mountainous terrain. An angler in search of quality trout fishing in a scenic environment will be hard pressed to find a better place to fly fish than Southern Montana. Fishing pressure varies wildly on Southern Montana rivers. Some rivers, such as the Madison River, often burst at the seams with anglers everywhere, taking advantage of the wonderful fly-fishing the Madison River provides. Other rivers, such as the Shields River, see hardly any fly fishing pressure at all, despite its decent trout fishing. An additional bonus of a Montana fly fishing trip to this region is the many other recreational activities this area offers. Yellowstone National Park is just a short drive away from many of the best rivers in this region and also serves as the headwaters of both the Madison River and the Yellowstone River. 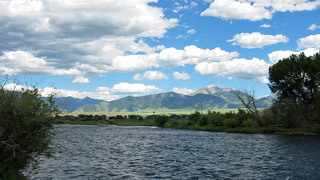 An additional benefit of fly fishing in Southern Montana is that, unlike other areas of Montana that can be devoid of any services for seemingly hundreds of miles, Southern Montana has both many large cities (used in a loose way – a city in Montana exceeds 20,000 people) and countless small towns that cater to visiting anglers. 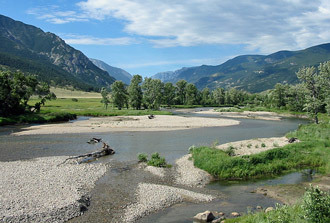 Thus, anyone visiting this area on a Montana fly fishing trip are able to find services and amenities that many other areas of Montana often lack. Overall, Southern Montana should be at or near the top of any Montana fly fishing trip. Any fly-fishing trip to this part of the state, due to both the quality fishing and the areas scenic beauty, is a memorable and rewarding experience. 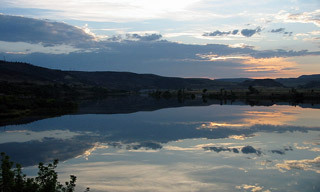 Recognized as one of the premiere trout streams in the United States, the Bighorn River is home to sizable large and brown trout. Tumbling down from the Absaroka-Beartooth Mountains, the Boulder River provides excellent fly fishing in a beautiful setting. Beginning in Yellowstone National Park, once the Gallatin River enters Montana it provides wade anglers with superb access and excellent fishing. The Madison River offers exceptional fishing in a beautiful setting and is one of the premiere trout fishing waters in Montana. Not to be confused with the famed Rock Creek located in Southwest Montana, this Rock Creek flows from the Beartooth Mountains and offers consistent fishing for smaller and medium sized trout and receives little fishing pressure. Rosebud Creek flows through the beautiful high prairie just to the north of the Absaroka-Beartooth Wilderness Area. 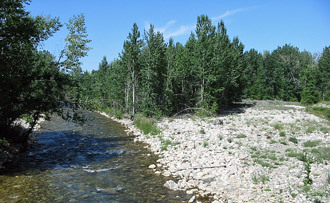 The rivers two forks offer the best fishing and access. 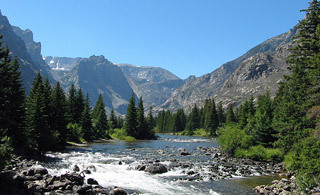 The Shields River is a seldom fished river that begins in the Crazy Mountains. The river has difficult access but does offer decent brown trout fishing on its lower stretches. With a deceptive name, the Stillwater River passes through beautiful scenery and offers excellent trout fishing with good access. 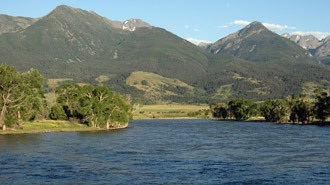 The longest river in Montana, the Yellowstone River is internationally known as one of the finest trout waters in the United States. With superb fishing, very good access and beautiful scenery, the Yellowstone is popular both for fishing and recreational floating.